In orbit, one could also add the distance from the apogee and also see the remaining time before it reaches its apogee distance and perigee. Also, two fashion could put "Following," he realistic at the time when it enters a sphere of influence, it is attracted by the celestial body and by the time that comes out of its sphere influence, we follow not the other way would be locked, it's one that for now is that by default. It also has a weird thing, if we make one planet to an atmospheric pressure of less than 0.0500 atm, there are no procedural cloud off Mars that has a pressure of 0.012 atm at the clouds, you can make clouds this pressure and deserts like Mars, the clouds look like Terra out select activities is decency be like sandstorms and see water vapor. Example, here is a customized desert but the clouds are procedural but almost looks like Terra. (excluding soon as the center of the system is selected but if we want where we are now to make a customized system where there is nothing, it is convenient. If you add the fact that you can put it in the editor mode, or put in a corner in normal mode since there are fewer of something written on the debugging mode. Speaking of editing mode, it is in progress (this after the debugging mode) ? Otherwise we could add a incone + and - for creating a system's center or galaxies (or delete if a center of a system's center or galaxie is selected) to a system's center and placing it directly into catalogs/Edit_[number]/stars/Stars_[number].sc (or catalogs/galaxies/Galaxies_[number].sc if it is galaxies) (where number is used with the same principle as captures except that here, the number of edition), which avoids this break the head as shown above to find the coordinates (RA, Dec and Disc). 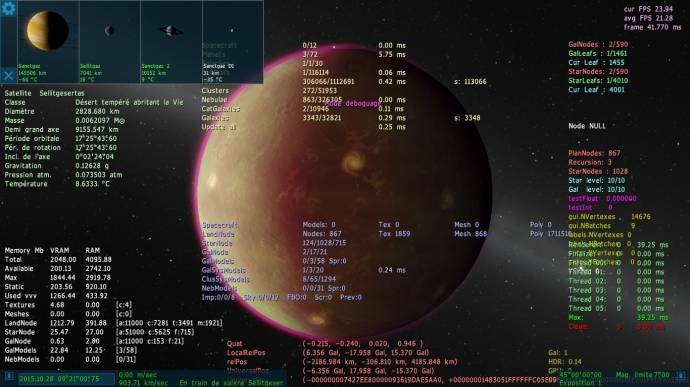 Same principle to the other stars but will select the parent (for the first time, it will be the center of the system), what I think is more convenient than typing the code and save it in catalogs/Edit_[number]/planets/Planets_[number] (if -, it removes the selected celestial body). In fact, this is supposed to be implemented because I do not see in the current version Animated model of Jupiter and you can do this for all the gas giants and ice giants. Also I wouldn't mind if 1c would show up from 300 Mm. Currently ~0.35 c pops up after 100000 km. You may find me silly but it's going to put the Sealevel for config so that it is increasingly obsolete because it could be used to find out how the ocean covers the planet (0 for 0% and 1 for 100%) because although it does not specify the BumpHeight, BumpOffset and Ocean Height and we put a Sealevel any, it is ignored, I hope this will be handed / resolved. In fact, the Lava tag will soon be implemented ? Would it be possible to have intergalactic stars? And maybe have stars orbit around their galaxies? Vector into screen would be moving forward, vector out of screen would be moving backward, so it is already correct. so it is already correct. Sorry that I've made a horrible typing mistake. Hello, during the exploration of this amazing game, I think in some ideas to make this universe more diverse and intersting to explore. I expect you like my suggestions and I sware they could be usefull for the improvement of this amazing Software. 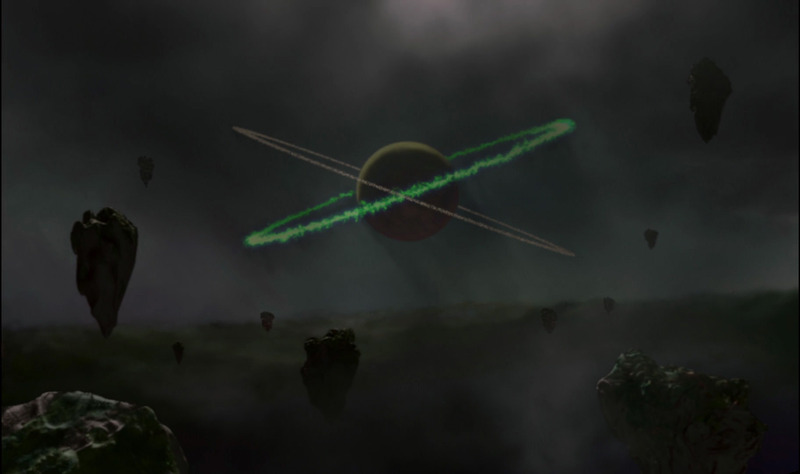 Planets' rings can only be around the equator, unless the rings were very recently formed. What causes this is(I think) unavoidable planetary oblateness which causes more mass to be concentrated along the equator, leading to all orbiting particles to drift towards the equator on the short timescale of a few million years. I doubt such planets would be shiny and flat. They'd be just as cratered and rugged as other planets. It's plausible to have a planet with such composition, however it almost definitely wouldn't be any more transparent than a typical oceania. Even if the star was just a measly red dwarf, the "planet" in question would still need to be so large that it would permit deuterium fusion - it wouldn't be a planet, but a brown dwarf. Also, I think that there's a limit to how large a rocky planet can get before becoming a gas giant. This isn't dependent on how old the planetoid is, but rather how massive it is. Once a planetoid crosses a rough limit in mass, it becomes a sphere in a relatively short amount of time. Actually, astronomers estimate that, about 20 stars die and 20 new stars are formed per year, only in the Via Lactea, so, I think that we could find planetary systems in all stages of formation, enabling us to find planets with the formation that I explain(super deformed and with misaligned rings). 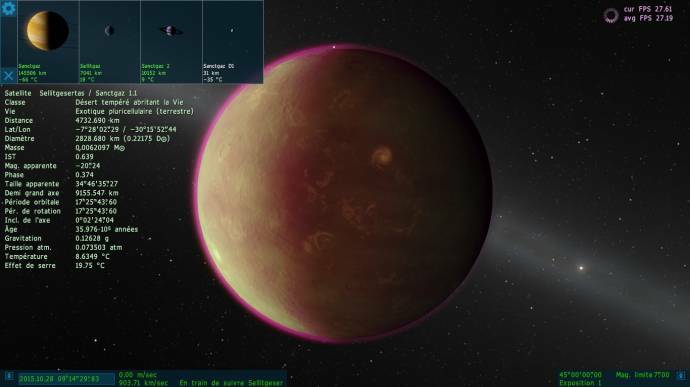 For the metallic planets with reflexive properties, if a planet is big and old enough, the constant windy atmosphere can cause the suspense particles to "polish" the planet surface, making it very reflexive because metals have intrinsic reflexive properties(Ok, the plains are unlikely, it was just an artistic concept). You ignore the fact that hydrogen is extremely common, and planets form from clouds of gas and dust, so a giant rocky planet could not avoid accumulating a large hydrogen atmosphere and becoming a gas giant. So it is impossible to have super-giant rocky planets. Even if you suppose it somehow avoids building a gaseous envelope to become a gas giant (not plausible, as HarbingerDawn says), a rocky planet cannot grow larger than about 4 Earth radii (~50,000km diameter). Once it's that big, adding more rocky material to it will make it smaller, because it gets compressed more by gravity. 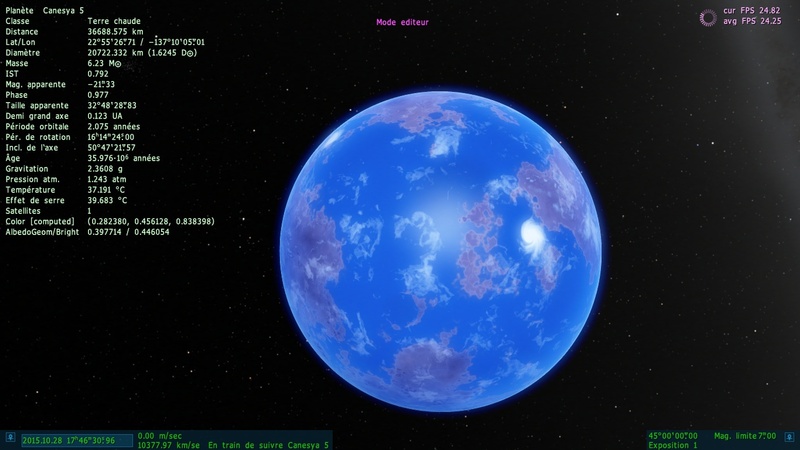 I would already be pleased if it would be possible to create Terras in SpaceEngine with 50000 km in diameter; but a radius of 14999.999511 Km and a mass of 10 Earth masses is the limit. One millimeter more, and there is an ice giant. That's because SE does not pretend that there aren't ices and volatiles available during planet formation, the point HarbingerDawn was making. In nature, 8-10 Earth masses is the upper limit of rocky planets because that's when they start growing into ice and gas giants. 8-10 Earth masses corresponds to ~2.4 Earth radii. My point went a step further by examining what happens if you keep growing a rocky planet by adding only rocky material to it (something that never happens in nature). What you'll find is that you get up to about 4 Earth radii at ~1000 Earth masses. Beyond that, adding more mass will make it smaller. This proves that even some highly implausible planet forming process could not produce a rocky planet hundreds of thousands of kilometers in diameter. They simply cannot exist. There is a maximum size of a rocky planet, placed by physics. This is ~4 Earth radii. At that point, adding more rock makes it smaller. There is a maximum mass of a rocky planet, placed by the natural planet formation processes. This is 8-10 Earth masses. At that point, it starts growing into an ice or gas giant. 1 Jupiter mass is 318 Earth masses. Universe Sandbox is not realistic in letting you create 1 Jupiter mass rocky planets unless you choose to disregard natural planet formation processes.